Celebrate ten years of Girls on the Run of Northern Arizona on Saturday, Nov. 10 at Ft. Tuthill County Park in Flagstaff. Girls on the Run is a physical activity-based positive youth development (PYD) program that is designed to enhance girls’ social, psychological and physical skills and behaviors to successfully navigate life experiences. The program’s evidence-based curriculum places an emphasis on developing competence, confidence, connection, character, caring, and contribution in young girls through lessons that incorporate running and other physical activities. The life skills curriculum is delivered by caring and competent coaches who are trained to teach lessons as intended. Girls on the Run, a non-profit organization with councils in all 50 states and the District of Columbia, has served over 1.4 million girls since its inception in 1996. Please join Killip Elementary School and the Northern Arizona Girls on the Run for the Fourth Annual Killip Kindness 2k/5k run/walk. The race will be on Saturday April 29th at the Coconino High School Track. Race time begins at 9:30 am but there will be family-friendly activities starting at 8:30 am and ending at 11:30 am. A number of community organizations will have informational booths and activities at the event and post-race snacks will be available. 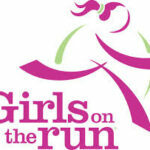 Come find your inner Starpower, play Girls on the Run games and learn from our coaches. Wear comfortable clothes to be active. Running is optional. The event is a fundraiser to learn more about our inspiring program and includes: GOTR lessons adapted for adults, Yummy snacks, Pilates , Injury Prevention, and more!